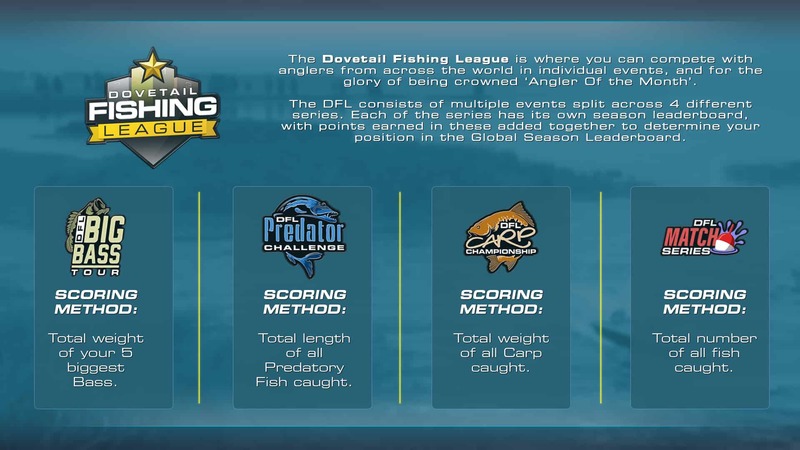 The Dovetail Fishing League in September will consist of a tournament per series each week. The first week for this month started on Monday 17th September and week two will begin on Monday 24th September. 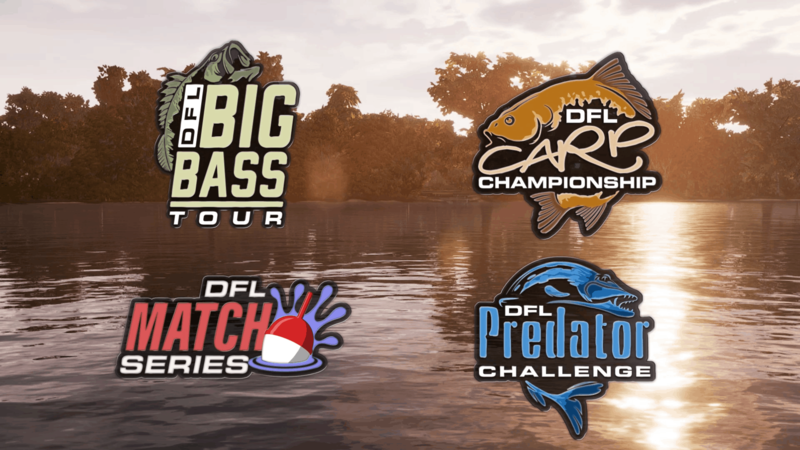 In the Big Bass Tour our first event is on Lake Boulder. As the name would suggest only bass will be counted in this event and your score will be the sum of your top 5 catches. Week two will start on Monday 24th September and will be on Lake Johnson where largemouth bass are the only bass species to catch here. The Carp Championship is starting with Gigantica with common, mirror and leather carp out there for you to catch. The total weight of carp caught will make up your score for this event. Week two will take place at Manor Farm and offers common, mirror, leather and ghost carp. In the Match series you wull be starting off at Waldsee followed by Bergsee in the second week. Every species is counted in this event and your score will be the total number of fish that you catch. Each tournament will give you three attempts that are 60 minutes long. The best score from your three entries will be the one that is counted towards the final standings. The overall leader at the end of the month will be our Angler of the Month for September.